This video tutorial includes easy to follow step-by-step instructions on how to correctly cut and shape your cake. Tips and suggestions throughout on how to correctly use cake decorating tools. Contains full list of ingredients and tools required. Not got a 3D Cakes TV account yet? Sign up here today! 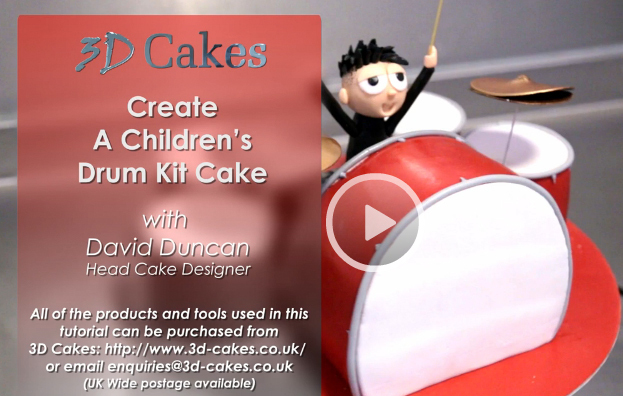 Unlimited access to expert tutorials from renowned cake designer David Duncan. Learn how to create awe-inspiring 3D sculptures, exquisite cupcakes, party cake pops and magnificent edible sugar glasses! With a new tutorial added each month, continually expand your sugar craft knowledge and skills in the comfort of your own workspace. I can confirm I have read and accepted the privacy and cookies policy.